The American Prize PIANO CONCERTO contest now honors the artistry of American pianist, LORIN HOLLANDER. 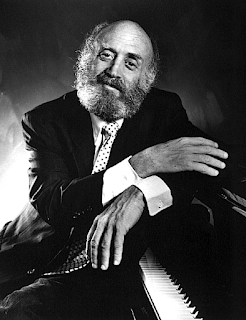 The legendary American pianist, LORIN HOLLANDER, a longtime personal friend of David Katz, chief judge of The American Prize, has graciously agree to allow The American Prize to name The American Prize piano concerto contest in his honor. The LORIN HOLLANDER AWARD celebrates the artistry of one of the greatest pianists of his generation. Lorin Hollander, brilliant artist, educator and philosopher, has appeared as guest soloist with virtually every major symphony orchestra in the world and is a veteran of over 2,500 performances across the globe. The American Prize is delighted to share the legacy of this great musician through the re-naming of its annual award for Piano Concerto Performance. The postmark deadline for piano applications to The American Prize national nonprofit contests in the Performing Arts is Tuesday, March 15, 2016. There is no live competition. The American Prize evaluates recorded performances only. See the website for details. Can't reach a new page or 2016 application? Your computer has cached an older version. Simply refresh (click on the curved arrow in your address bar, if there is one) to get to the new pages. Still having trouble? Email us at theamericanprize@gmail.com and we will email you the application you need. Application fees for 2016 have NOT increased.